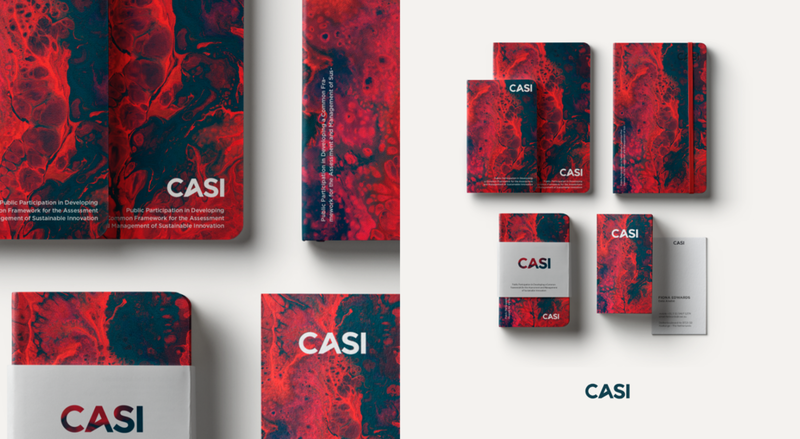 I based CASI branding and design on the ideas of being simple and smart. The experience should be positive while searching, reading and creating any type of content, be it on the website or printed documents. With the high level content that CASI has to offer, it is essential to provide a comfortable and clean user interface. As most of the project content will be textual, we believe that presenting it along with the large, nature-inspired images, brings the desired balance. I worked with the idea of bringing the 3 basic CASI pillars into the core of the logotype as a letter A. In regards to the typefaces and text treatment, the main headlines and paragraph style have been defined by a mixture of weights and priorities . CASI can upgrade the reading experience by using decent sizes and interline spaces in texts, giving a clean and smart reading environment. CASI includes 19 partner organizations from 12 countries in the European Union, and relies on an extended network of national experts in the remaining 16 countries not represented in the consortium to ensure coverage and inquiry in every EU member state.